When you move home, you normally have to sell your current property, especially if you need the money to buy a new one. But there are occasions when it makes practical or financial sense to keep the old home. If you rent your old house out rather than sell it, you could end up over time with a valuable asset that generates a regular income. This is the critical question. If property prices are rising, then clearly there is a massive financial advantage to building up a property portfolio – you get the capital gains on more than one property. But if property prices are falling, then you old home will go down in value, and certainly in the short term you would probably be better off selling it. However, in the long term property prices invariably rise (along with economic growth and incomes), and so if you are planning to keep your old home for many years, then you shouldn’t worry about a short term dip in prices. See our House Price Watch report for the latest trends in house prices. You need to check the small print of your mortgage. Most mortgages include a clause that does not let you rent out your house, while some let you do it for up to a year, and others have clauses that allow you to rent it out if you are moving for a limited period for work and intend to move back. If you do have to change mortgage, you will probably have to change to a (usually higher interest) buy-to-let mortgage which will probably entail early repayment fees, valuation survey fees, and new mortgage arrangement fees. Or look at the option of Let to Buy mortgages. Unlike Buy to Let mortgages which are taken out by people specifically looking for a property to let out (or to re-mortgage one they currently let out), Let to Buy mortgages are used when you live in a property and need to leverage finances to move elsewhere. How can I finance two properties? Clearly, you should only consider doing this if you are financially secure, and financially literate – if you are already stretched, and not confident dealing with financial matters, then you could end up really regretting it. You are more likely to be able to buy a new property while keeping your old one if you have major equity in your existing property, and a sufficient income to easily finance the mortgage on your new property. You will then need to take out a second residential mortgage on your new home, the payments for which would be covered by your normal work income. If you move out but still have a mortgage on your old property (whether you are buying or renting a new place), you need to work out whether you will be able to keep up with the monthly repayments on that mortgage – in addition to the mortgage on your new home. Will you be able to pay for the property’s maintenance? Can you afford a new boiler? What if the house gets damp? Or if it needs a new roof? Will you manage the property – or will you pay somebody to do so? How much will that cost? Will you rent it through an agent? What commission will they take? Have you factored in insurance into the total monthly costs? The ability to afford to keep your old home will depend not just on the rental income you get, but the cost of living in your new place. Have you included the hidden and often substantial costs of buying and moving, such as stamp duty and estate agent fees? Until now, landlords have been able to claim tax relief on the mortgage interest they pay on their mortgage repayments. They would only pay tax on the profit they made and the amount they’d pay depended on which tax band they were in. However, from April 2017 this will change. In a new system, that will be phased in, landlords will have to pay tax on their entire rental income (not just the profit) and they’ll only be able to claim tax relief at a rate of 20% – regardless of what tax band they’re in. A landlord in the higher tax band, therefore, will pay tax on his rental income at 40% or 45% but will only be able to claim 20% back tax relief. Will I have to pay capital gains tax if you sell? Capital gains tax is a tax on the profit – or ‘gain’ – you make when you sell an asset that has gone up in value. You do not have to pay capital gains tax if you sell your primary residence (i.e. your main home) at a profit, but you might have to if you sell a second home. The capital gains tax regime is frequently changed by the government, and the calculations are complicated, so you should seek advice either from a tax adviser or directly from HMRC. If you used to live in the house you are selling, then capital gains kicks in eighteen months after you move out, i.e. if you sell it within that time you will not have to pay any capital gains tax. Please consider joining us as one of the benefits includes a free legal phone call with a trained solicitor so you can pose your question and specifics on your circumstances to a tax specialist. Take a look at the other services provided within the membership package which you may also wish to access. My thought is that you cant ever predict the market for selling but one good thing about renting is that it NEVER comes down in price so I am strongly thinking about renting my house out. I’m thinking of renting out my home and using the income to part fund the renting of a larger house in a different area. Will I have to pay tax on the rental of my mortgaged property even though I now have the additional rental outgoing? I have been left a property by my late father. It is a 1 bedroom converted flat in a house. I am so confused. I don’t know whether to rent or sell. the price for selling wold be around 335000 and the renting a month could be from£800 to £1000. @Mukamba Be careful there… I did exactly the same thing but you will also have to pay letting agent fees (if you use one) plus tax on your income from the rental – which you cannot offset on the place you rent for 875. You’ll only be able to offset the interest potion of your mortgage, which will probably be fair bit judging by your quoted figures. Great article with useful advantages and disadvantages which will need to ne considered. Thanks for sharing with us. 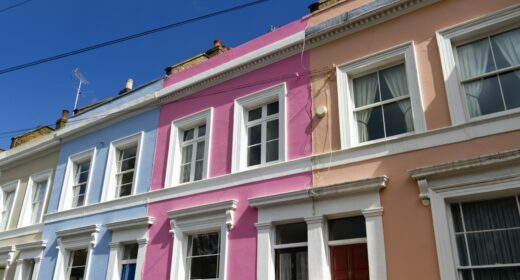 Some interesting pros and cons to weigh up and of course dependant on the situation the housing market is in at the time you make the decision. Also think – Do you have time to be landlord and the funds to maintain two homes? Looks like you have to weight the circumstances right as which you can benefit. If I rent out my house and rent a townhouse where I am paying more than the rent I collect which is more than the mortgage amount , do I still have to pay tax on the collected rent? I’m thinking about the feasibility of letting out my 4 bedroom property with no mortgage and renting a 2 bedroom property. would all the financial implications make this an impractical idea? What a detailed and informative guide. It all depends on the time and the situation of the housing market. If it is booming and increasing, it is the right time to rent and sell. Trouble is, there is no telling which direction it will go in so there is always an element of risk. Does the state and size of the house hold much weight in the equation? It definitely is a complex decision to make and one that needs to be thought over in advance. Renting or selling your property could be one of the hardest decisions in terms of long term assets and as Steve said, a retirement nest egg. I think personal factors are the biggest influence for a home owner, however as the property market is looking relatively healthy, home owners may be attracted to the valuation of their property. Do you have to pay capital gains on a rental property if it’s not worth the original value it was purchased? Selling your home means you can transfer all your responsibilities to a new owner. We all know that owning two or more properties at once requires cash reserves and time. Therefore, selling will allow you to relocate without the burden of multiple mortgage payments and many other carrying costs. It will simplify your life because you won’t have to worry about tenants, repairs or any other landlord issues. The down side is that you may miss out on the possibility of capital appreciation in the long run. Renting out the home is an attractive and common alternative to selling. It’s sometimes possible to rent out your property and make a profit every month while your tenants effectively pay for your mortgage. Rental income can cover most of the expenses to carry, such as mortgage, taxes and insurance payments. This is a great way to build wealth because at some point the house will be paid for by the tenant income and you will have built a nice retirement nest egg. Also renting instead of selling offers the possibility to move back if you are unsure that you will like your new place or if there is the possibility that your move could be a temporary one.